Police have revealed how kidnapping suspect, Chukwudubem Onwuamadike, alias Evans, planned to escape from the prison where he is kept this past weekend, was foiled. 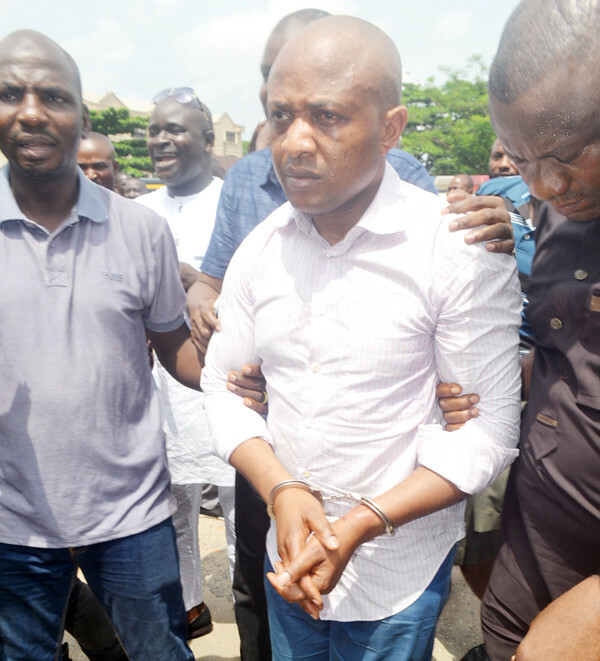 According to The Nation, Evans who had allegedly tried to escape from his cell in Abuja after he was transferred from Lagos revealed that a source came forward and told of how the kidnap suspect again tried to escape by promising the prison guard $50,000 and $100,000 if he would help him escape. The source also revealed that Evans was allegedly planning his escape with some members of his gang via telephone which he got through “suspicious” means. It was learnt that intelligence officers and IGP’s Special Tactical Squad detected his plot. The source said: “When Evans was in our custody, he tried to escape but we were able to abort all his plans. We discovered that he had access to phones which were hidden in the middle of loaves of bread, eba, semovita and so on. “He was making calls from these smuggled phones in the middle of the night, making arrangements with some yet to be identified members of his gang to arrange for his escape.